Doggy Ice Cream - Coming to a Town Near You! 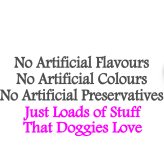 "Doggy Ice Cream" will soon be available in a number of very special dog friendly venues in West and East Sussex. We've spent a lot of time checking out the best Doggy Destinations in the South East and we're delighted that from next month some great places will be serving our ice cream to the dogs that visit. We're very pleased to be providing Doggy Ice Cream (and other goodies) for the relaunch of the south coast's most exclusive dog hotel, The House of Hugo. We'll be there on Saturday 20th Feb for their open day too. Come along if you'd like to sample our Doggy Ice Cream (your human can come too). We'll be providing Doggy Ice Cream and Doggy Popcorn to the hardy walkers taking part in Harwoods Land Rover Hibernot Dog Walk at Goodwood on 31st January. Whatever the weather, the hardy Land Rover types (and their dogs) will be embracing the winter and instead of hibernating, they'll be celebrating the great outdoors. We'll be at the finish line to reward the dogs with ice cream. © Copyright 2015-2016 - Waggy Doggy Doodahs Ltd.